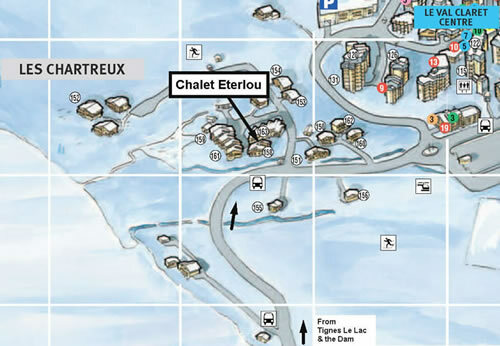 The Eterlou chalet is in the Val Claret area, in a pretty part called Les Chartreux - situated next to the lake. 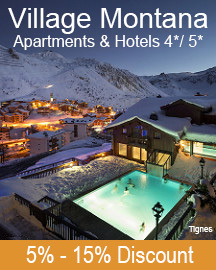 There is a bus stop just a few metres from the chalet block where you can hop on and off the free Tignes shuttle bus that runs round the resort 24 hours a day - this provides quick and easy access to the main ski lift areas and shops (1-2 minutes to the Grand Motte Funicular). 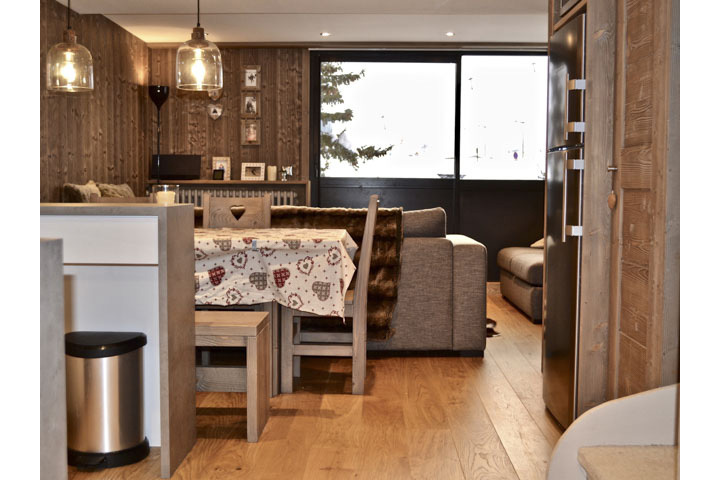 You can easily walk into Val Claret which has a wide variety of shops, bars and restaurants and indeed walk to the Tichot chairlift and onto the Grande Motte funicular, Fresse & Lanches chairlifts if you prefer (approximately 10 minutes to the chair lifts on foot). 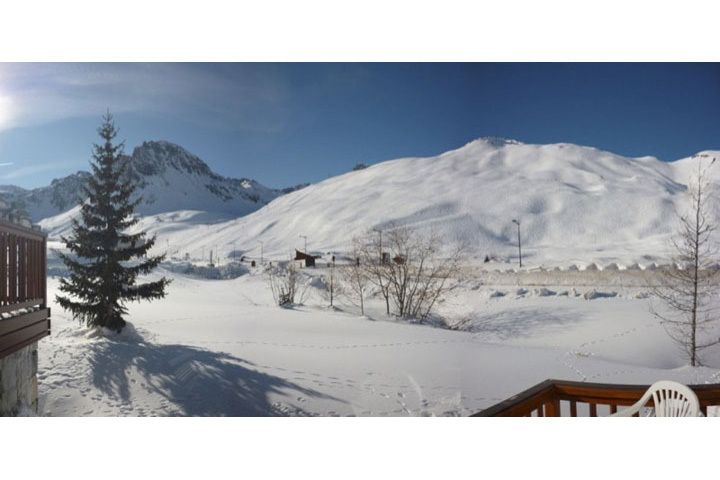 In the opposite direction you have Tignes le lac which can be reached via a short 2 minute journey on the free shuttle bus, or you can take advantage of being right next to the frozen lake and enjoy a ten minute stroll across to the other side. 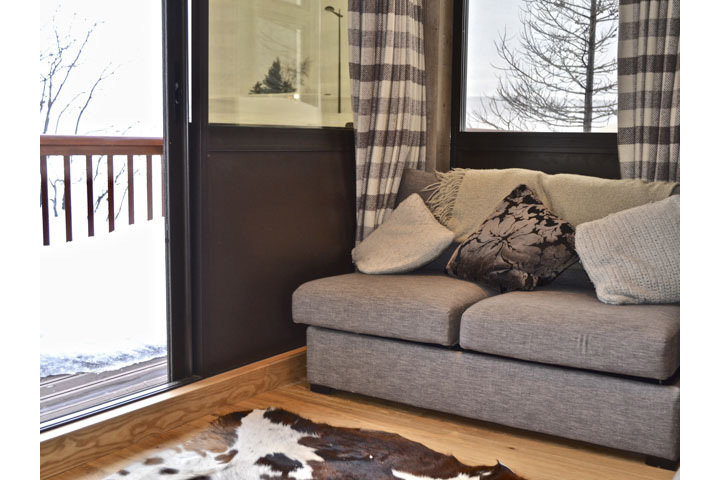 If you enjoy cross country skiing, you are also right on the edge of the cross country course. 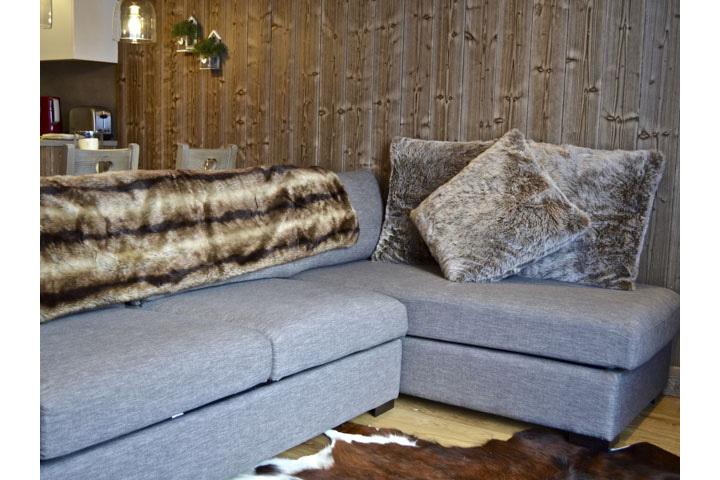 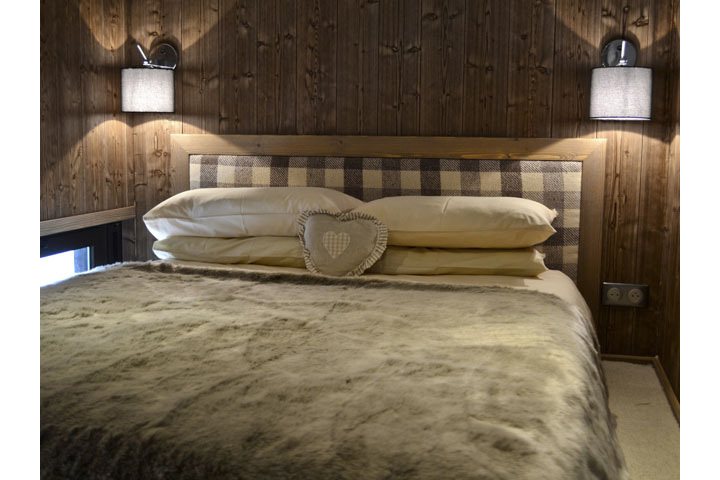 This beautiful, traditional style chalet is family owned and has recently been refurbished to a high standard with new Savoie wood paneling with warm and cosy soft furnishings throughout. 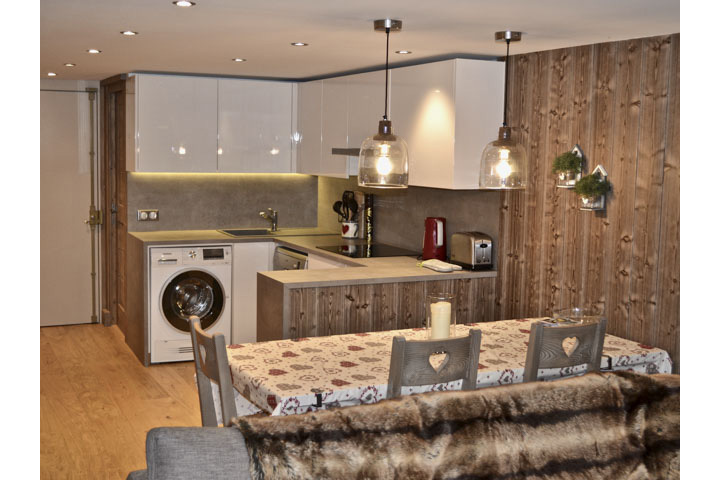 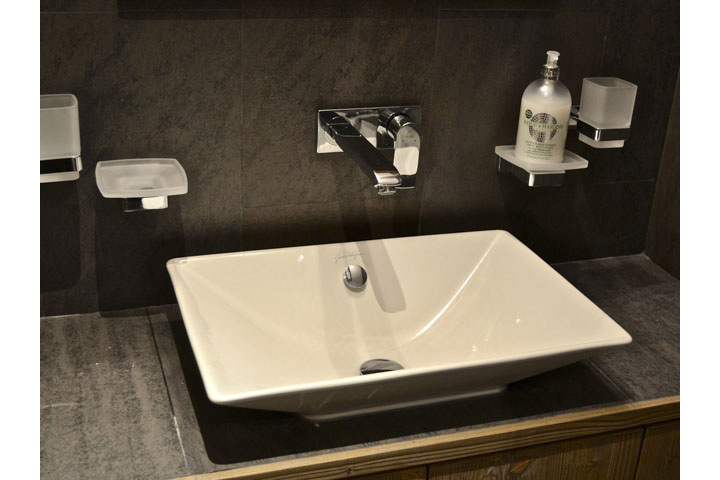 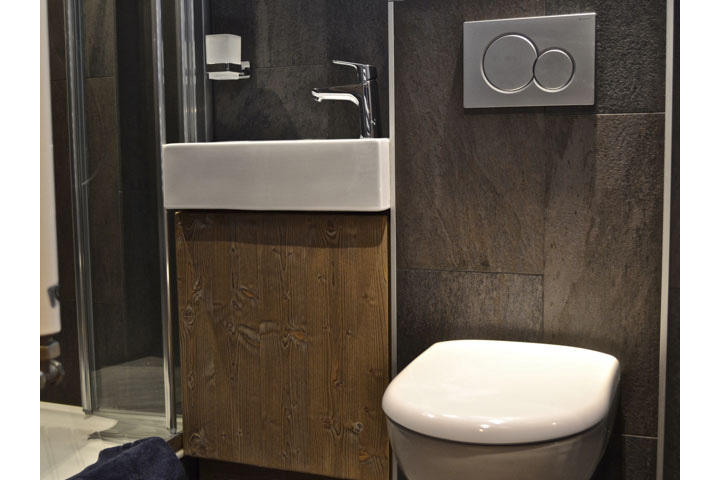 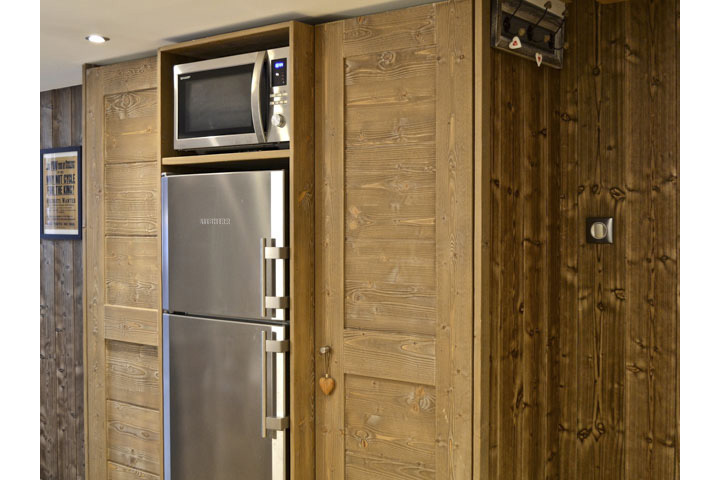 The kitchen and bathrooms are modern yet with a traditional Savoyard feel. 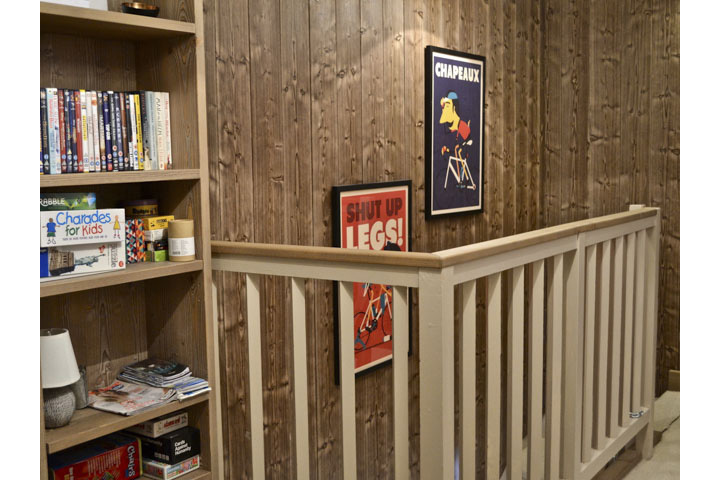 It is laid out over three levels with a total of 64 square meters living space. 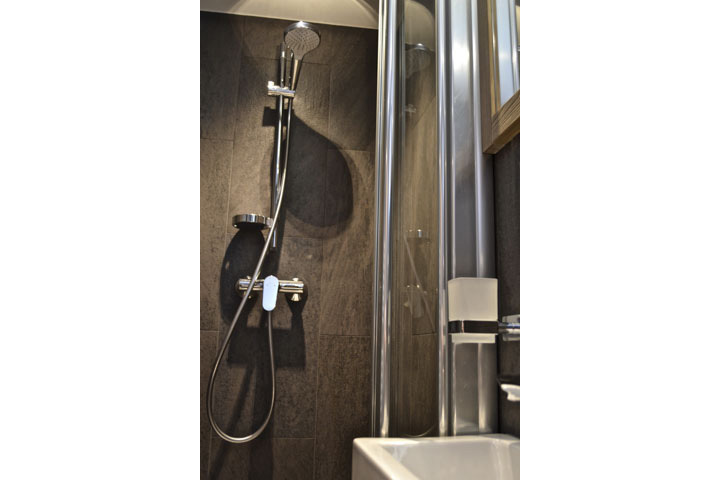 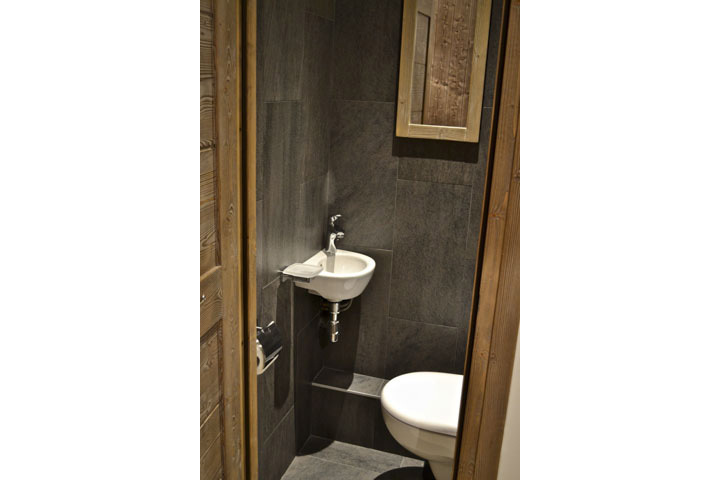 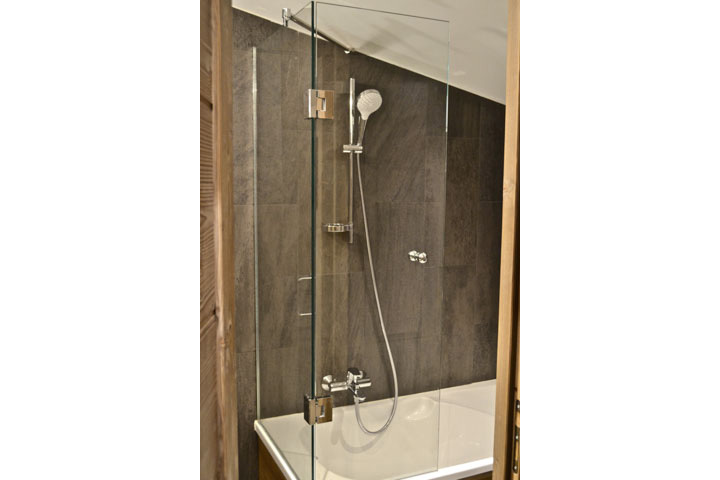 As you enter the chalet, there is a separate shower / wc to your left. 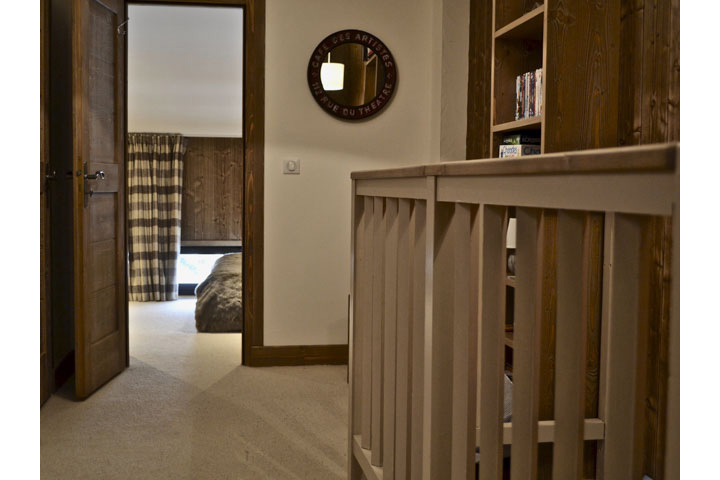 You will also find a large open plan kitchen, dining and living area with stunning mountain views via the sliding balcony doors that lead on to a newly refurbished balcony. 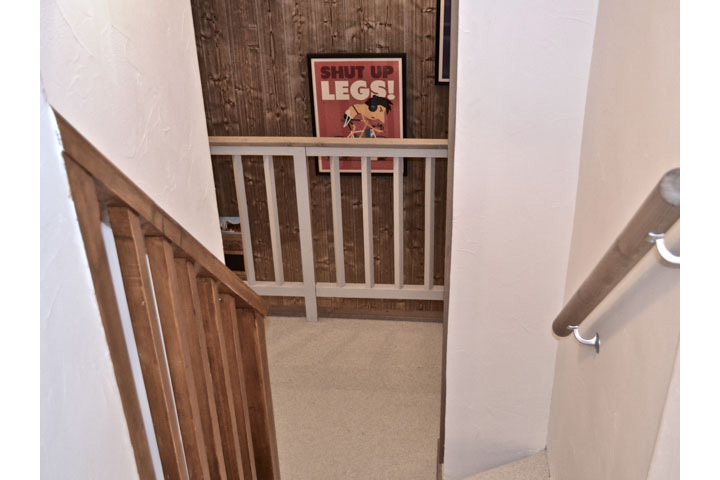 The main staircase leads you to the second floor where you will find the master double bedroom, separate wc and bathroom. 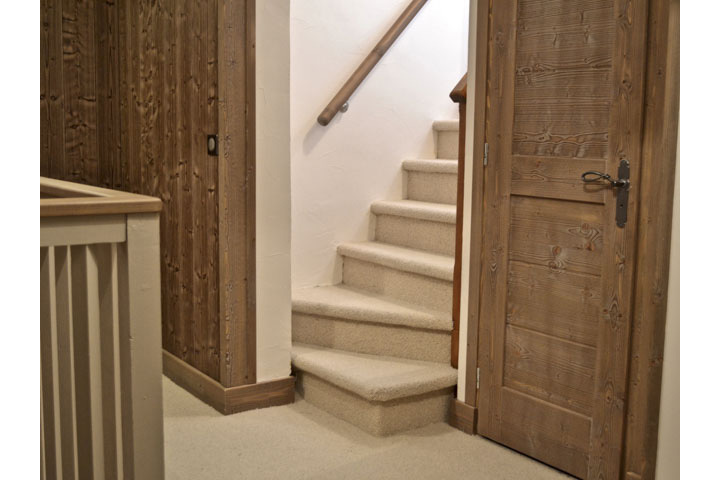 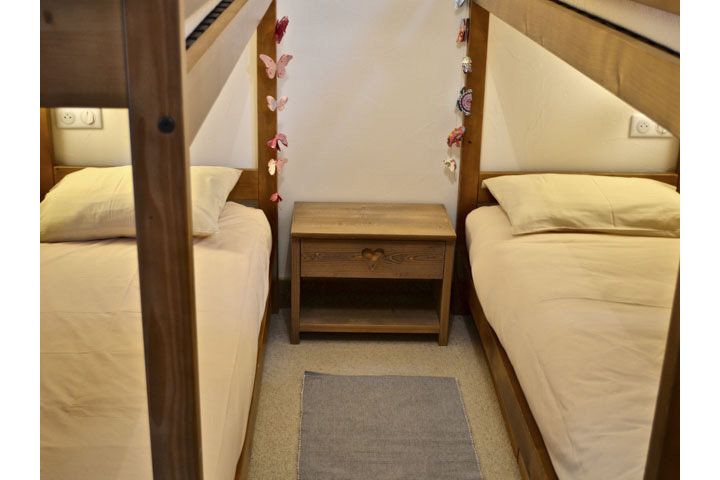 A further staircase leads you to the twin bunk room and twin bedroom. 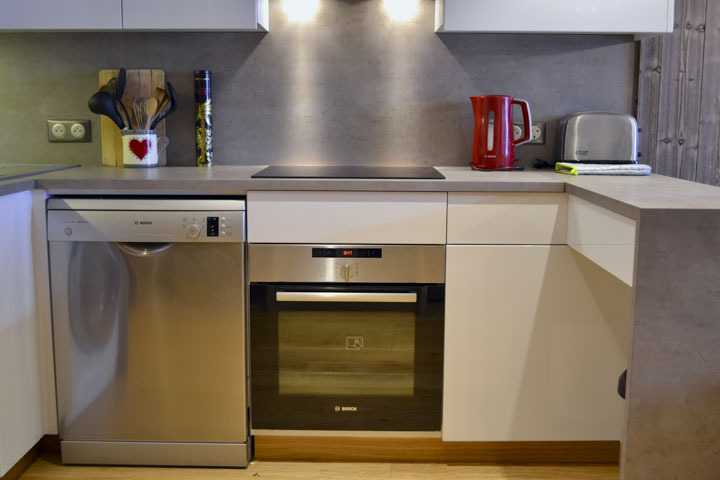 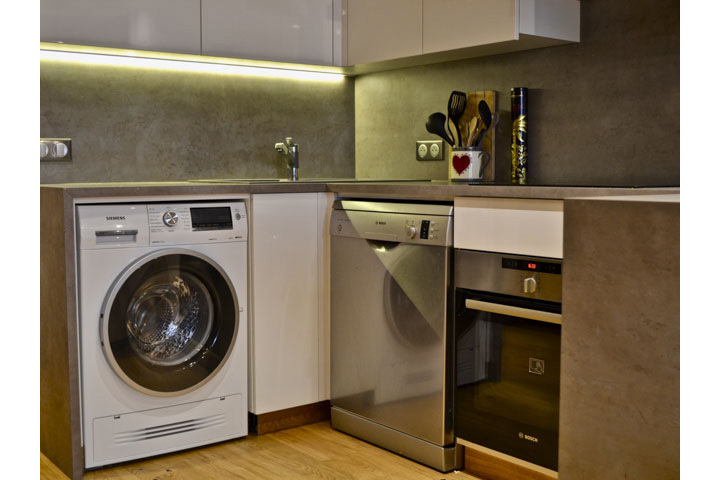 The kitchen has many amenities to make you feel right at home, including a full size oven, a four ring electric hob, dishwasher, microwave, kettle, toaster, a large fridge with a large freezer compartment, and a washing machine with dryer. 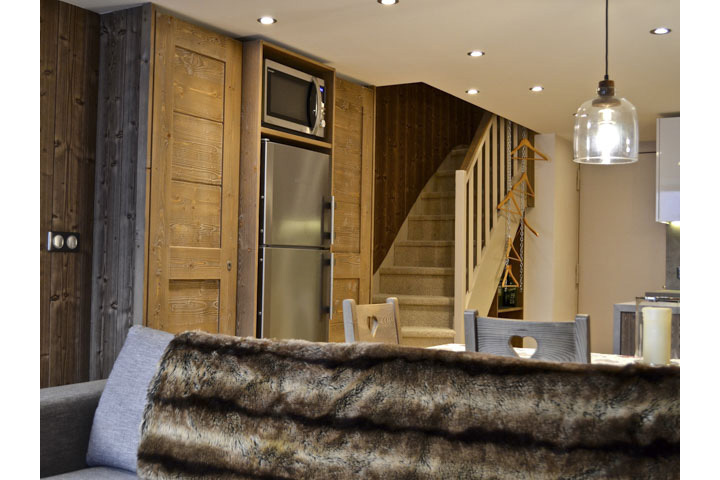 The dining area has a lovely solid wood dining table, ideal for enjoying a big hearty breakfast before skiing, or a cosy night in with a home cooked meal (Please note, although the chalet sleeps 8, the dining table is best for 6 adults, or 4 adults and 4 children). 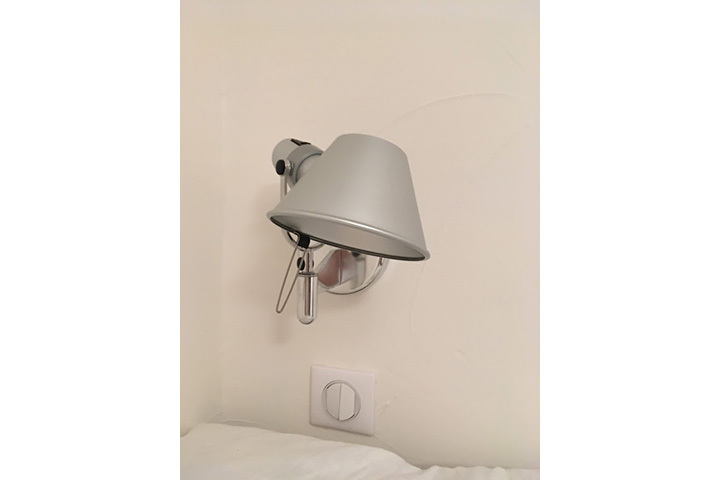 There is a TV which plays DVDs and connects to the wifi. 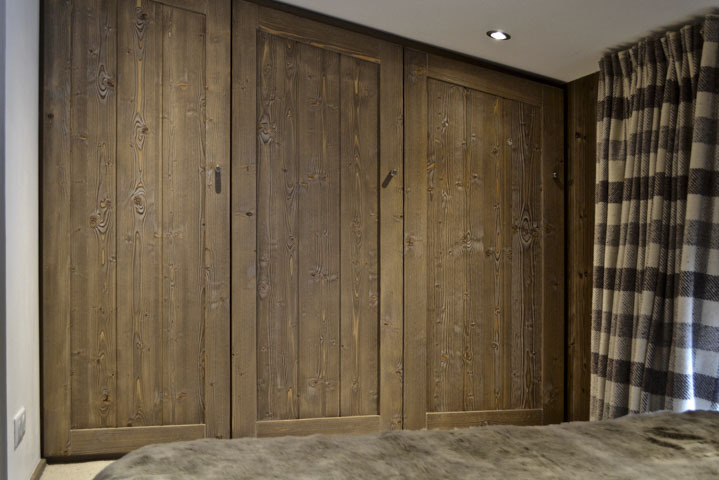 There is plenty of storage in the wardrobes and chests of drawers in the bedrooms for clothes and other belongings. 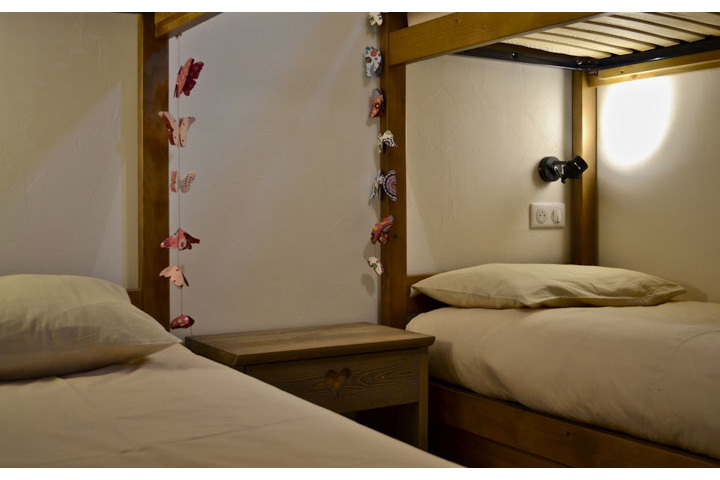 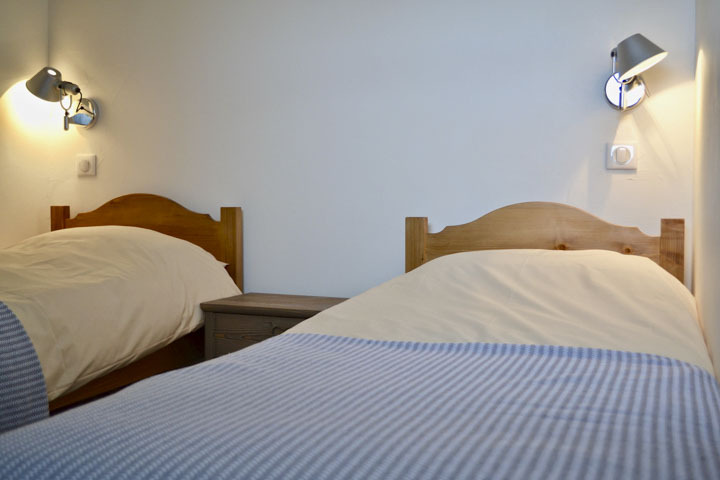 Bed linen is provided with this chalet, and towels are available to hire from us in resort. 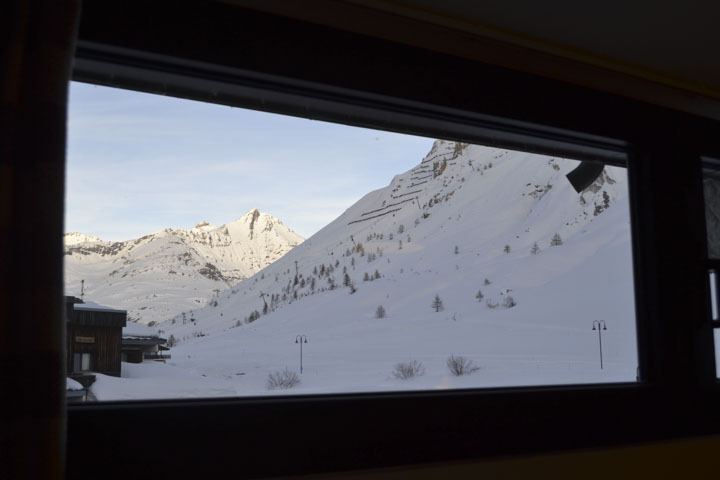 Please note: All our chalets are non-smoking. 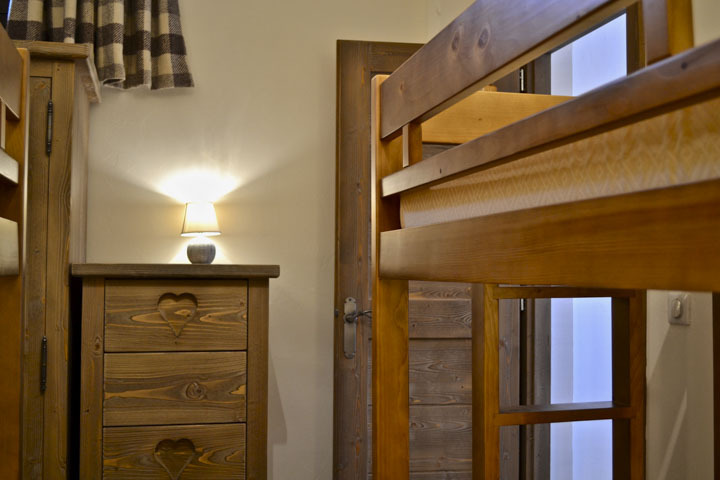 Please note – the chalet price remains the same regardless of how many days are used.